Wild fires rage in California. Communities continue rebuilding after devastating storms. The next financial crisis could lurk around the next corner. Worst-case scenarios are happening, but the current public policy framework leaves communities defenseless against them. 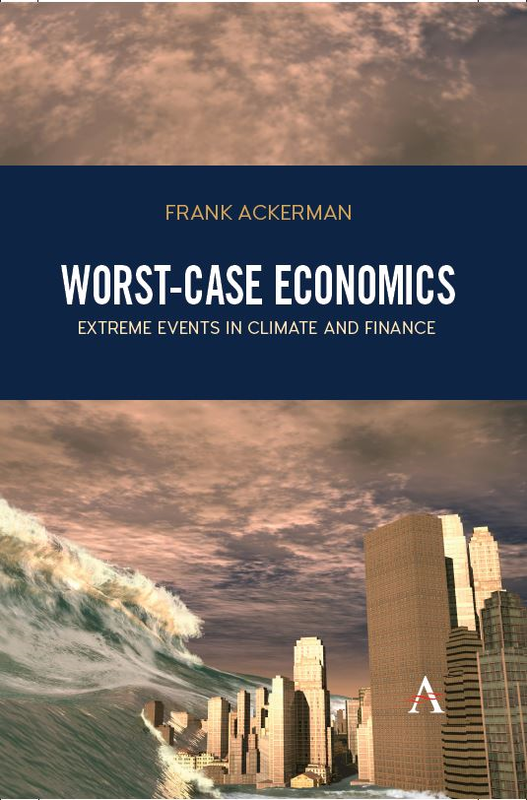 On December 21, 2017, we celebrated the release of Worst-Case Economics: Extreme Events in Climate and Finance, the latest book by Frank Ackerman (Synapse Principal Economist). Dr. Ackerman joined Bruce Biewald for our Third Thursday webinar series to discuss his new book, which Juliet Schor described as "highly accessible but profound" and Samuel Bowles called "an important book and a delight to read." The stock market and the climate are well-behaved most of the time – but those are not the times we worry about. Worst-case scenarios are all too real and all too common. The financial crisis of 2008 was not the first or the last to destroy jobs, homeownership and savings for millions of people. Ever-weirder weather includes megastorms clobbering communities from New York to Bangladesh, rising sea levels, and heat waves killing thousands across Europe. Climate and financial crises are serious events, requiring vigorous responses. Yet public policy is trapped in an obsolete framework with a simplistic focus on average or likely outcomes rather than on dangerous extremes. What would it take to create better analyses of extreme events in climate and finance, and an appropriate policy framework for worst-case risks? Worst-Case Economics offers accessible and surprising answers to these crucial questions. Worst-Case Economics is available in hard-copy and e-book from Amazon or in hard-copy from Barnes & Noble and UK distributors Wordery and Book Depository.